It’s that time of year again. Another month and yet another seasonal, seafood delicacy has arrived crawling its way into the pots and nets of the South West Under 10 metre boats that ply their trade along the coasts of Devon & Cornwall. 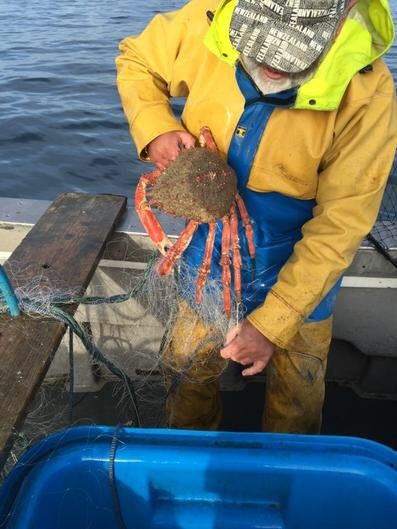 Social media has been abuzz recently with fishermen eagerly delivering pots onto their favourite grounds. 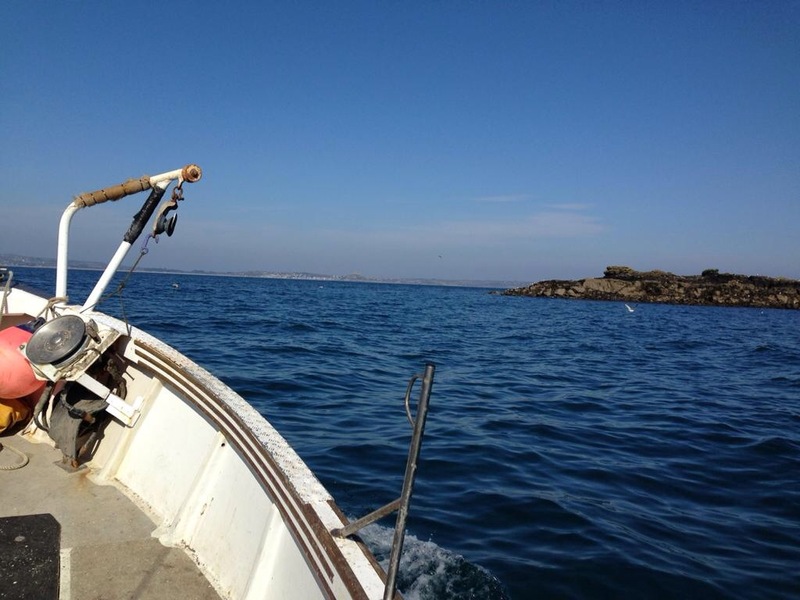 The spring fishing for our notable crustacea has begun in earnest and it’s with growing excitement that I find myself checking messages and Twitter posts, to learn the latest from the very masters of their art; the Dreckly Fish crew, comprising @kevinpenney @francispz61 and @cornish_lobster who willingly share the pictures and thoughts of their daily travails afloat, off the South Cornish coast, whilst operating out of Newlyn Harbour. Lobsters and Edible (Brown) crab are coming on stream now in satisfying numbers and although caught on slightly different ground to these regular crustacean mainstays i.e. 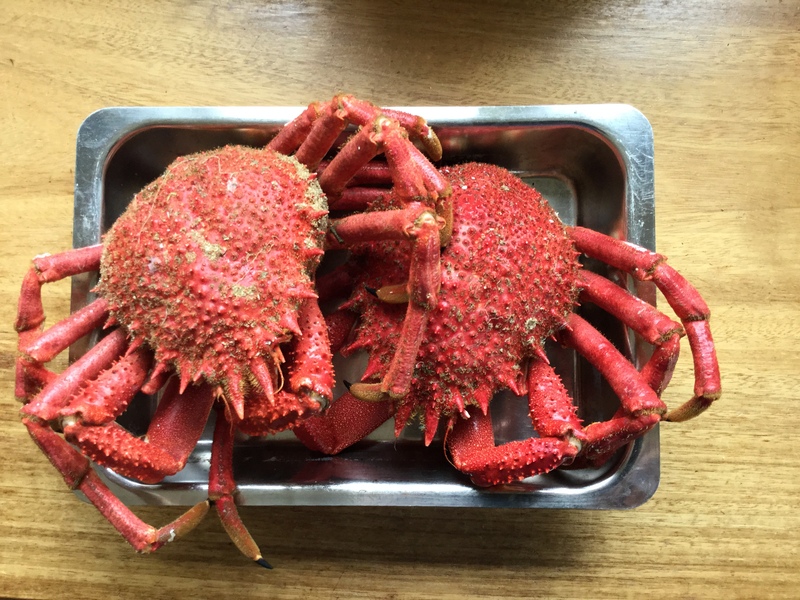 that of a sandier and less rocky bottom, the other exquisitely and delicately flavoured seasonal denizen of these waters; the Spiny Spider Crab (Maia squinado) has at last put in a timely appearance. Last week, under advisement from Chris Wightman, I avidly prepared myself for a weekend of seafood excellence and with an order of both Newlyn-landed Lobster and Spider secured, I knew, that for me, May 1st had heralded the commencement of my Summer-long, shellfish-fest and all the long-awaited trappings and accompaniments that it brings. Normally with the first Spiders, I don’t hesitate to produce anything but a simple and honest salad of their meat, freshly picked and exuding that wonderful ozonous aroma, which takes you right back onto a Cornish beach. This weekend though, having feasted on the very same, but of Lobster, the night before and with the first tender spears of our asparagus assisting to adorn the plate, I opted for something a little more rounded and full-bodied which would still exemplify the delicate nature of the Spider meat, but also offer a warming and unctuous way of combining that with a plethora of additional and subtle flavours. Chez Warner we are incredibly partial to a risotto. Throughout the year we produce them using whatever ingredients the season has to offer us at the time and preferably of wild origin. Here we have then, my version of a risotto of Spider Crab. It’s not too onerous and once you’ve mastered the art of extracting maximum yield from your crab it is incredibly rewarding. I make no apologies for the fact that’s it’s not too technical, but then I’m not. I can’t help but cook with thoughts and memories of the late and great Keith Floyd not far from my mind and always a glass to hand! 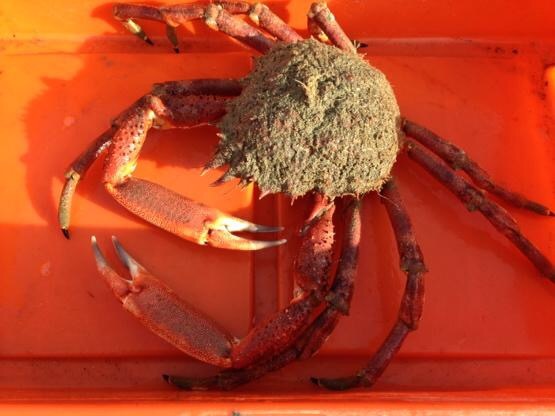 By my reckoning I was about 10 years old when, under instruction from my Father, I dressed (or un-dressed as he would chuckle), my first crab. A local edible crab admittedly, but the same principles apply really. Take the cooked crab and remove all the legs and claws. Then part the body from the shell (carapace) using both hands to lever one from the other. Scoop out any brown meat from the inside of the shell – if you wish to use it, and taking the body discard all the “dead man’s fingers” (gills). Once cleaned externally, it’s literally just a case of picking your way through the labyrinthine “honeycomb” of the main body, extracting value from every pocket and crevice. I use a “divide & conquer” method, splitting the body up with a heavy cook’s knife and picking through each segment with my trusty picking tool. It never ceases to amaze me how much flesh a Spider will actually yield and before long your bowl is filling satisfyingly. Legs and claws: give a firm rap with the back of the knife or a hammer to split them. Spider claws and legs split well longitudinally and the meat is often easier to extract, by my book, than from their brown cousins. Meat removed, then set aside all the redundant shell and frame for the stock. Very important. For me anyway, a good risotto lives or dies by the quality of the stock used and it’s worth investing a little time to get it right. I always keep frozen stock available, as I like to use the crab/lobster/lango meat just picked and as fresh as possible out of the shell, which entails using the stock made from a previous batch. 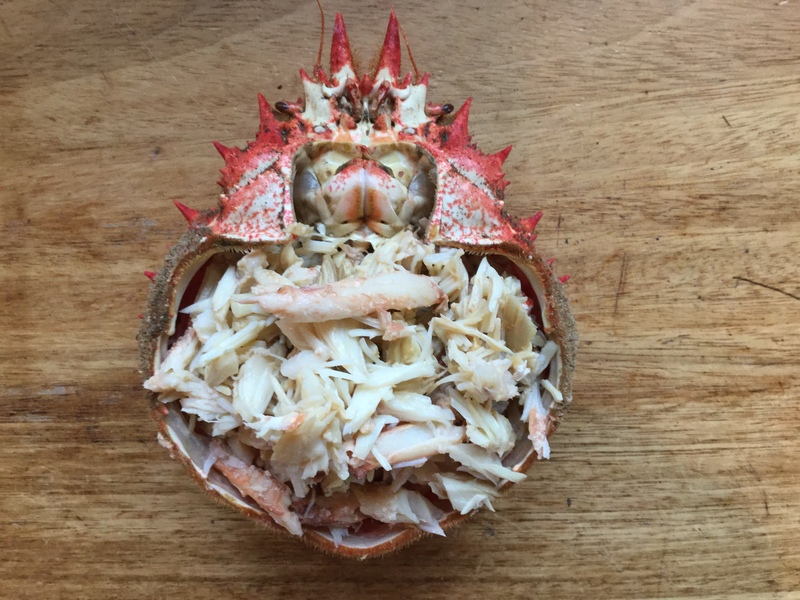 Place all the crab shells, claws and legs into a heavy bottomed pan and add a halved onion, some split carrots, chopped celery, black pepper a bay leaf and any other veggie bits and pieces you might have to hand. Cover with water, bring to the boil and simmer for an hour or so. If like me you’re an Aga cook, once boiled, then sling straight into the simmering oven, which is great, as you don’t taunt everyone in the house with the smell of cooking shellfish! Once cooked, drain and strain the stock and leave to cool before using or freezing. Sweat off the shallots and garlic in a pan in the melted butter on not too fierce a heat (e.g. Aga simmering plate). Then add the rice and swirl around so all is coated. Add in your wine ( if there’s any left? ) the curry powder, saffron and give another good stir to thoroughly blend everything. Slowly then, add the stock, just a bit at a time so that the rice gradually absorbs it. The whole process usually takes me about 20 mins and I just monitor it by tasting and adding a little more. If you run out of stock or have used a bit too much rice, it’s not a crime – just add a little more water and seasoning if needs be. As the risotto comes to maximum stock capacity, then stir in the Marscapone and once that’s blended, gently fold in the crab meat, squeeze in the lime juice, taste and season again if you deem fit. Serve the risotto in a warm bowl and top out with a little fresh coriander and the merest hint of Truffle oil. 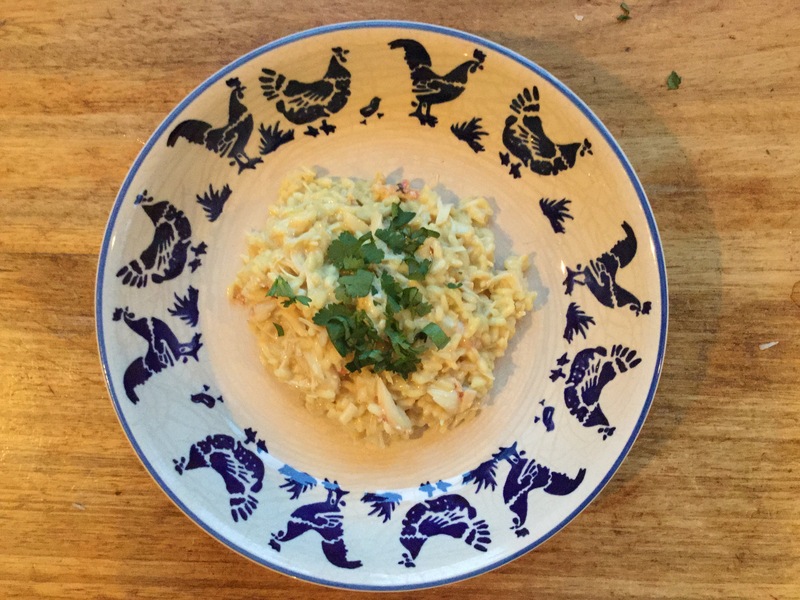 Some people like to add a little Parmesan to a crab risotto but I think it just detracts from the excellence of the crab flavour. But each to their own and nothing’s set in stone!